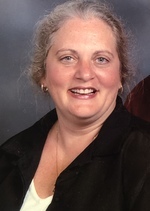 Carol Elaine Peters Reed, 57, of Salem, passed away unexpectedly on Saturday, February 9, 2019. Carol served as the Chief Information Officer at Hollins University. She was a cherished member of the Hollins community who was beloved for her engaging personality, her dedication and commitment to Hollins, and her willingness to go the extra mile and help others. She always had a smile on her face and her infectious laugh and generous spirit were sure to cheer up those who were fortunate to be around her. Her father, Curtis Peters, preceded her in death. She is survived by her mother, Ethel Frances Vest Peters Sheets and husband, Harold; son, Curtis Bryan Reed; sister, Frances Peters Inge and husband, David; and nephews, Paul Inge and wife, Dana, and Daniel Inge. Family and friends may gather from 6 to 8 p.m. on Tuesday, February 12, 2019, in the John M. Oakey & Son Chapel in Salem. A funeral service will be conducted at 10 a.m. on Wednesday, February 13, 2019, also in the chapel. Interment will immediately follow at Sherwood Memorial Park.